Home/Blog/“R U OK?” A small but life-changing question. “ In the time it takes to have a coffee, you can start a conversation that could change a life”. This year in Australia, an average of 8 people will take their own life daily. A statistic which drastically impacted the life of Gavin Larkin, founder of the R U OK? movement and organisation. Larkin lost his father in 1995 to depression and was driven through loss to actively work towards starting conversations with others dealing with mental health issues across the country. 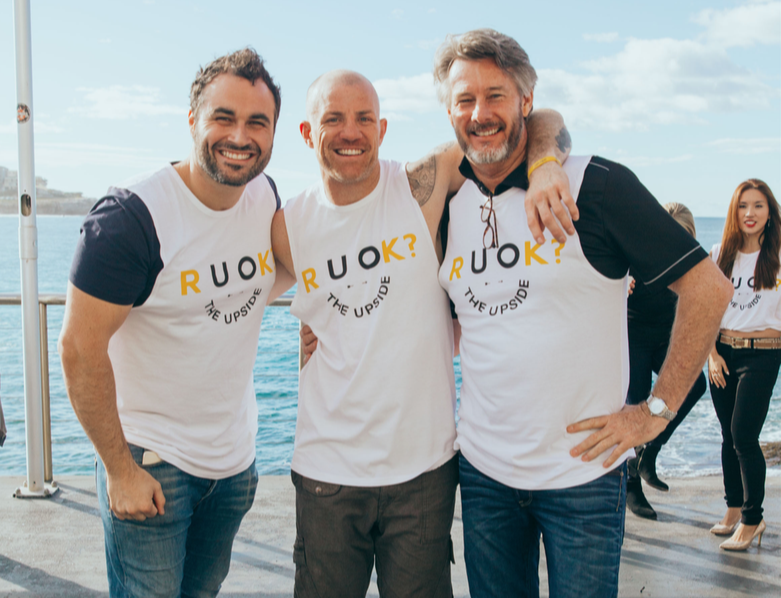 R U OK day was created as the first national call to action day for suicide prevention. Since 2009, this event, which this year falls on September 13th, encourages people to take a look at others around them, and take a moment to recognise someone who may need help. A simple question such as “are you okay?” yields the potential to change someone’s life. The day is also a reminder to ourselves to take a moment to recognise our own health and wellbeing. Ask yourself if you’re okay, and what you can be doing to sustain your mental health. You can’t pour from an empty cup, so take this day as a chance to check in with yourself too. Prior to the day there is plenty you can do to get started! Start by educating yourself on which personal and social cues to look for in people around you who may be struggling. Take a moment to put down your phone and engage, paying specific attention to people who may have become distant, unenthusiastic or disconnected. Depression is highly complex and multidimensional, stemming from many contributing factors in an individual’s life. R U OK has identified three key factors which could indicate that yourself or someone you know could be at risk. Educating yourself with these factors not only allows you to keep your own mental health in check, but gives you the power to recognise when someone else is having a hard time, and ultimately allows you the chance to ask them “R U OK”? By taking the first step in asking, we can help to eliminate the prevalence of depression and suicide in our communities. Ask | Listen | Encourage action | Check in. The process starts with us. If you, or anyone you know is struggling with mental health, there are a number of different organisations to contact.